Tên Trường Sa được tìm thấy trong tập Hồng Đức Bản Đồ của Việt Nam. Tập Bản Đồ này được vẽ vào năm 1490 dưới thời vua Lê thánh Tôn. Vào thế kỷ 19 và đầu thế kỷ 20 thỉnh thoảng có một số thủy thủ từ một số nước lớn châu Âu mang tên như Richard Spratly hoặc William Spratly đến quần đảo Trường Sa, từ đó quần đảo có cái tên tiếng Anh là Spratly và tên này được thừa nhận chung. In 1939 the Japanese military government announced its decision to take possession of the Spratlys. France protested on 04 April 1939 when Japan announced it had placed the Spratlys “under its jurisdiction.” In 1941 Japan forcibly took over the islands as part of its World War II strategy. During the War, France defended the Spratlys from Japanese military forces. In 1949 Vietnam “inherited” from France all former French rights over the Paracel Islands and the Spratlys Islands. Vietnam emphasizes “actual exercise of sovereignty over mere geographic contiguity” as a basic ground for its claim. In the 1951 “San Francisco Peace Treaty” Japan relinquished all titles and claims to the Paracel Islands and the Spratlys Islands. From 1956 to 1963, Vietnamese naval troops built “sovereignty steles” in the Spratlys. The most proactive claimant in the region is China. In 1909 it seized some islands in Xisha (the Paracels). In 1946 it seized Itu Aba (in the Spratlys) and Phu Lan (Phu Lam) Island (in the Paracels). 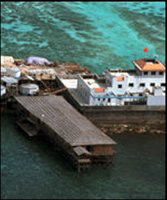 In 1950’s China seized additional Hoang Sa (Paracels) islands, which it forcibly repeated in 1974. Vietnam claims that these acts were unlawful and that the United States in 1974 conspired with China for the take-over of the Paracels. In January 1974, Chinese military units seized islands in the Paracels occupied by South Vietnamese armed forces, and Beijing claimed sovereignty over the Spratlys. Following their conquest of South Vietnam in the spring of 1975, units of the People’s Army of Vietnam (PAVN) nevertheless moved to occupy the Spratly Islands previously held by the Saigon regime. In 1978 Vietnam and the Philippines agreed to negotiate but failed to settle their conflicting claims to the Spratly Islands. Foreign Minister Thach, during a late-1982 visit to Indonesia, took a conciliatory position in discussing Vietnam’s and Indonesia’s competing claims to the Natuna Islands, and in 1984 Hanoi made a similar gesture to Malaysia in order to help resolve their conflicting claims over Amboyna Cay. In a 1988 incident, possibly related to Cambodia because it potentially strengthened China’s position at a future bargaining table, the ongoing dispute between China and Vietnam over sovereignty to the Spratly Islands erupted into an unprecedented exchange of hostilities. The situation was reduced to an exchange of accusations following the armed encounter. Vietnam’s repeated calls for China to settle the dispute diplomatically won rare support for Vietnam from the international community, but elicited little response from Beijing. A conciliatory mood developed on both sides of the Sino- Vietnamese border in 1989, partly because Vietnam’s proposal to withdraw completely from Cambodia responded to a basic Chinese condition for improved relations.